Interested in erasing your energy bills with solar? Our solar guides are step 1.
we have a ton of experience, our goal is to share it with you. ​​Our desire to share all the experience we've accumulated over the past 16 years led us to ask, how can ​help people educate themselves at their own pace while ​adding that signature Renovus touch? How can we be accessible, personable, and make the process of going solar simple and easy no matter how familiar you are with the technology? Our attempt to make sure we provide the best service possible to our customers and potential customers led to the birth of the Solar Guide Series. ​Our Solar Guide Series is an ever-expanding set of downloadable eBooks, recorded webinars, ​ short-form videos and blog posts that will help to explain the ins-and-outs of solar. ​The goal of all this content is simple; ​share all the knowledge we've accumulated over the years with the world and make solar easy to understand. Check out some of the first installments of the Solar Guide Series below, and stay in touch to get up-to-date releases on all the new goodies our team will be putting together. We hope we can make your journey to living a solar lifestyle a bit easier! 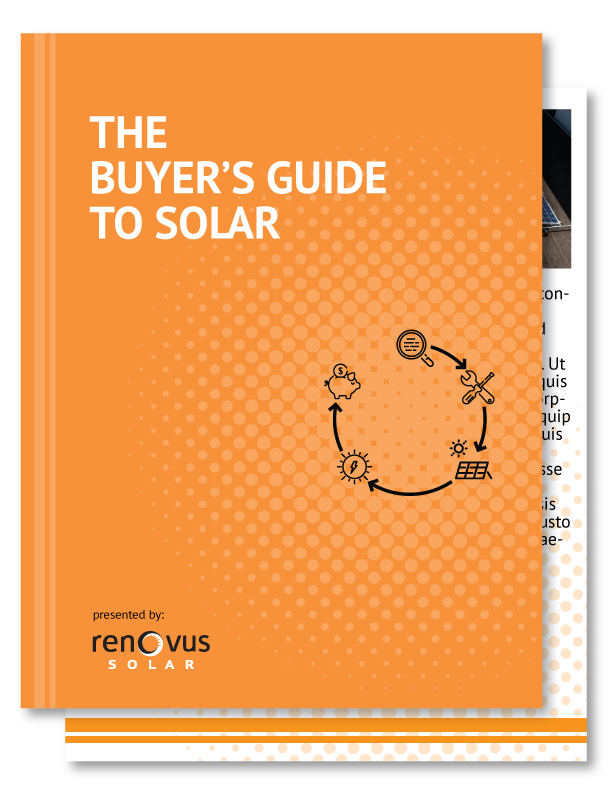 The Solar Buyer's Guide is square one for anyone looking to understand how solar can help them save money, and live a solar-powered lifestyle. We cover basics like how solar technology works, where your installation can be located. The impact of solar on your monthly costs, and long-term benefits such as home equity. We also address concepts such as how to research the best partner to install your panels, the installation process, and how your utility company interacts with your solar installation. If you want a crash course in residential solar, this is for you! 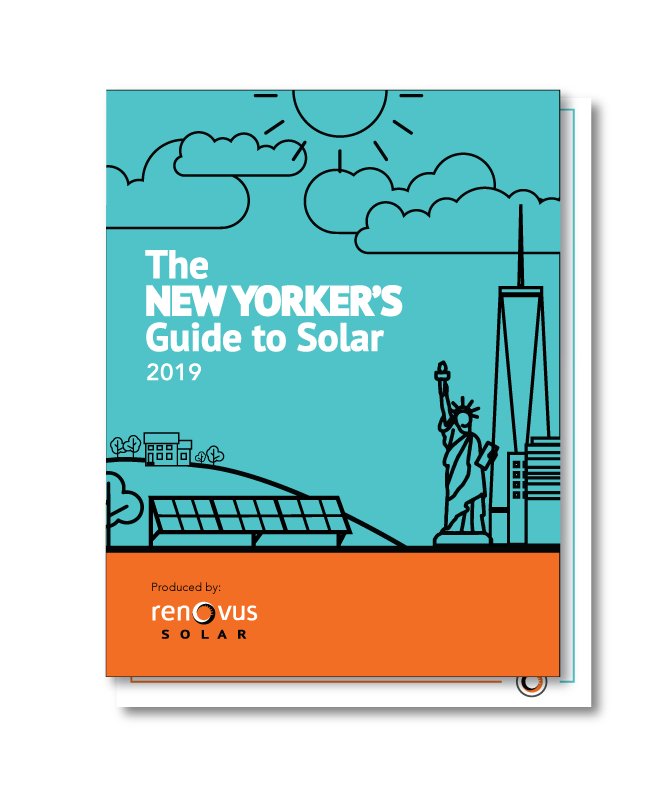 ​The ​Guide to Community Solar ​is a one-of-a-kind summary of New York State's newest way to go solar; Community Solar. 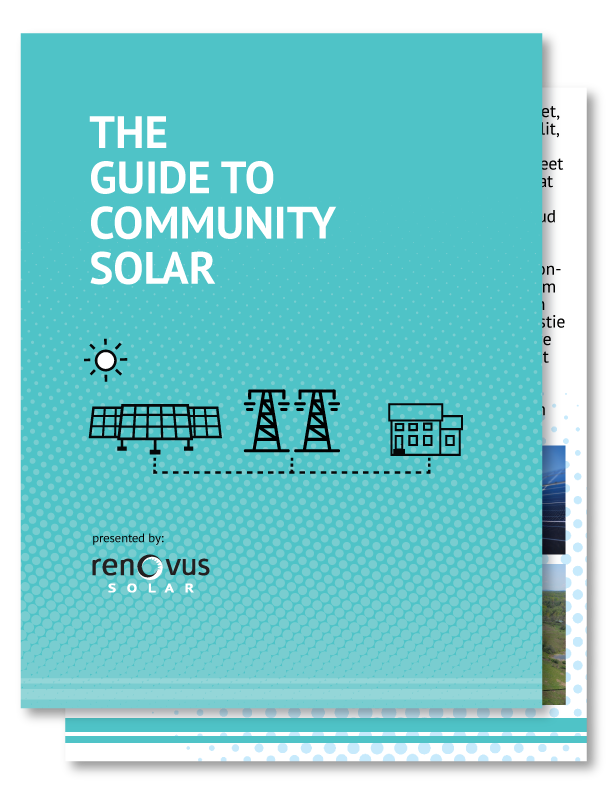 Community solar farms can be a bit mysterious, so this eBook covers the mechanics of how a community solar farm works, ​ and a summary of your new monthly savings ​resulting from the production of your panels located on one of our local solar farms. Since we built the first community solar farm in NYS, there is no better place to learn all you need to know about this exciting way to power your home. 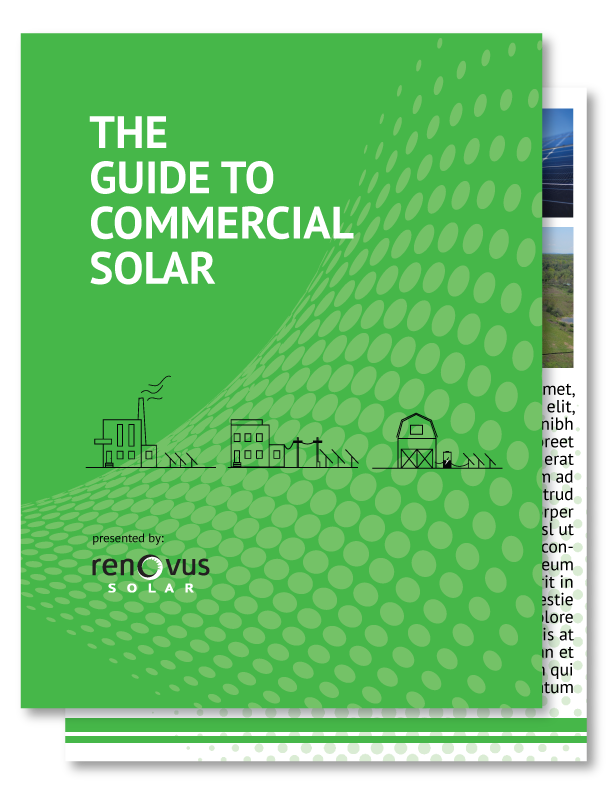 ​The ​Commercial Guide to Solar was born for one purpose, to help demystify the sometimes complex web of incentives and benefits that can benefit commercial customers. We tackle solar incentives such as accelerated depreciation, NYSERDA grants, and available tax incentives to help clarify the true cost of a commercial investment. Additionally, there are several case studies from clients such as Ithaca Beer Co, PPM Homes, and Vector Magnetics to show how solar has impacted some of our more diverse commercial clients. 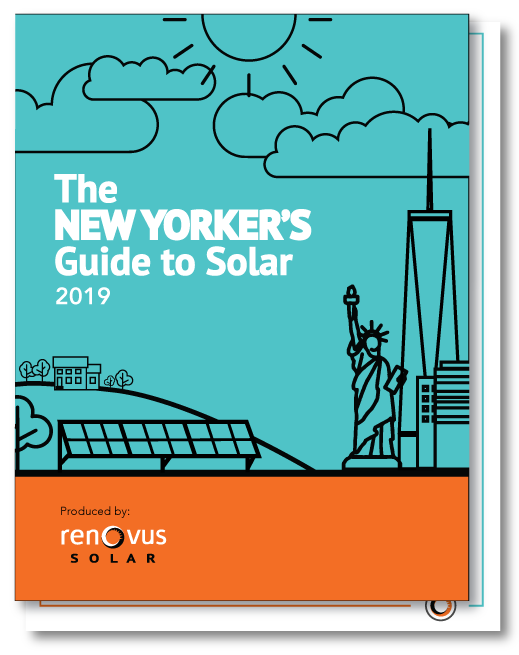 The ​ New York Solar Guide ​is your go to document to understand the solar marketplace in 2019. There is a lot to understand about solar in 2019, incentive structures are in flux, rebate availability is shifting, and the needs of customers is more diverse than ever before. The process of understanding where you stand can be confusing, we're here to cut through the noise. ​Grab this eBook and you'll be armed with the right knowledge to be a savvy consumer this year! The Guide to Solar Tax Incentives is focused on one thing; making sure you get the most of your solar investment. Existing solar tax incentives mean that you can get up to 60% off the cost of your solar system in the form of tax incentives. These incentive programs can be complicated, and our guide aims to make them simple. 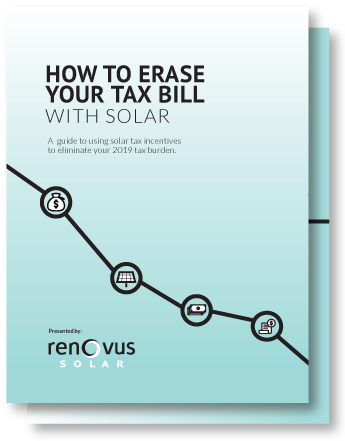 Download this eBook and we can promise you that after going solar, you'll be getting the biggest tax refund of your life! ​The ​Guide to ​Solar Financing ​is the be-all-end-all guide to making solar simple and affordable at almost any budget. When Renovus opened it's doors, financing a solar system wasn't a possibility for all but the most entrepreneurial banks and credit unions. 10 years later Renovus has helped develop and facilitate some of the best value solar loans on the market. 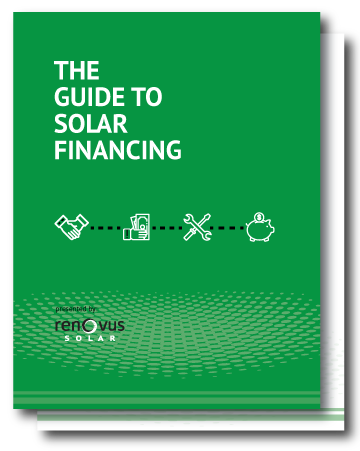 Download this guide to ger a crash course on going solar with solar financing and low monthly payments. Solar Incentives – What can you use in 2019?